Communal Entrance Doors are able to withstand heavy use and vandalism. The range is suitable for all public buildings including the front and rear doors on communal accommodation, schools and offices. If you need more information or have and order enquiry, please give us a call on 0844 247 4 247 today! Note: For entrances above the maximum size, panels are recommended. Primed as standard or powder coating available in a wide choice of colours plus anti-vandal finish available. Automatic Door Opener with switch, swipe, keypad or key fob options. Note: Single leaf outward opening doors are recommended for greatest security. Access Control – heavy duty closers return the door to the closed position and concealed electro-magnetic locks provide automatic locking. Extra Strong Continuous Hinge – means no trapped fingers and improved weight distribution. Strengthened Construction – both frame and door are fully welded for added strength, with all welding galvanised to prevent rust. Concealed Door Closers – improve appearance and reduce the risk of vandalism. Integral Anti Jemmy Strip – protects locking mechanism from attack with crowbars and other levers. appearance and add light to entrance ways. 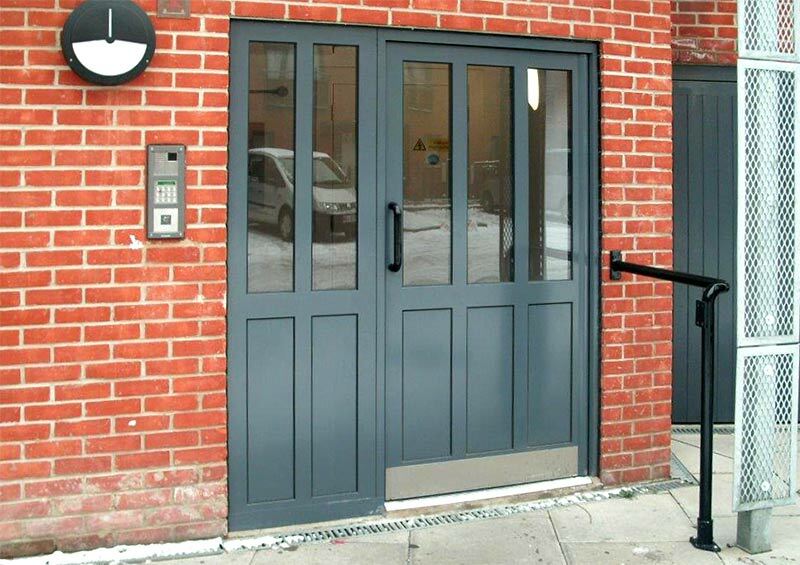 Wide Selection of Options and Extras – to customise doors to individual requirements. At TSD we'll help you find the right security products to match your requirements, timescale and budget.